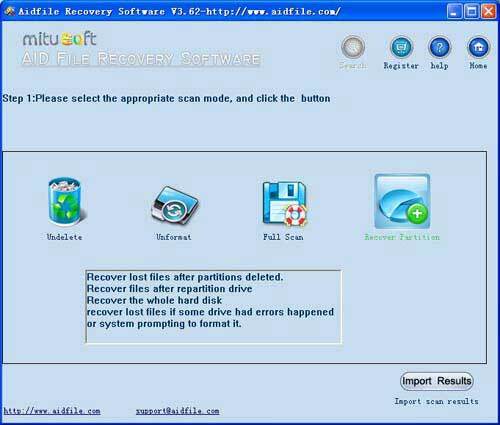 NTFS recovery - NTFS Partition Recovery, Aidfile Recovery Software can help you to recover MS word excel, photo, music, video and other files from lost deleted formatted NTFS partition,hard drive or external drive, usb drive. NTFS file Recovery, NTFS file system Recovery - NTFS File Recovery software to recover files from deleted/lost/damaged/formatted NTFS partition file system drive on Windows 10,7,XP,8,8.1. lost files due to ntfs not formatted , not recognized , not working ,not showing up, power failure,logical damaged. Use "Undelete" to recover deleted files from NTFS Partition very quick after Virus attack,Recycle bin clear,disk cleanup,Press shift del by mistake,permanently empty recycle bin,shift delete ,accidentally deleted by a mistake. Use "Unformat" to recover files from formatted NTFS Partition after quick format,full format,accidentally formatted,reformatting,High-level formatting,Low-level formatting. Use "Recover partition" to recover files from deleted/damaged/changed lost NTFS file system Partition. 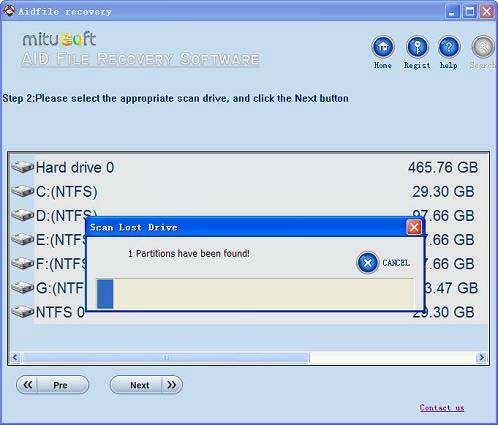 Use "Full Scan" to recover lost files from NTFS Partition which can not be found with "undelete" and "unformat" and "recover partition" from NTFS Partition after showing an error,display as raw file system,unformatted,unknown partition,unpartitioned,needs to be formatted. Support deep and full scan lost data from partition , hard drive, usb. completely recover all data from hard drive.